Manito Park is a Pacific Northwest central park located in the South Hill neighborhood of Spokane Washington. From downtown Spokane, go South on Stevens Ave past the hospitals. Stevens will turn into Grand Boulevard and roll right past the Manito Park Entrance. Watch for the large sign on the right after you get up the hill past 14th Ave. Can't miss it. Parking is available for no charge at the main entrance. Wear comfortable shoes and spend a few hours exploring many park features. Bicycles welcome. Pets on a leash are okay - please clean up after your pet. Playgrounds available for children. Most of all be considerate and kind, respectful to others and allow others to enjoy the many Manito Park features. The park is large - 90 acres total, so plan on spending some time. There are several small shops, cafes and coffee spots near Manito Park. Watch your speed on Grand Blvd as the limit decreases to 20mph in front of the park and is patrolled regularly. Traffic stops at crosswalks where pedestrians access the local businesses and homes. We here at ManitoPark.org hope you enjoy your park visit. Please respect the park and others enjoying it so that all may enjoy it's beauty. ManitoPark.org is a free community service web site intended to promote the respectful use of this beautiful public park in Spokane Washington. We would love to hear from you. 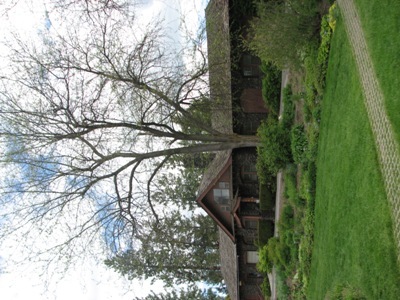 Tell us about your visit with the Manito Park Report feature. Thanks for visiting our web site, come back and see us soon.